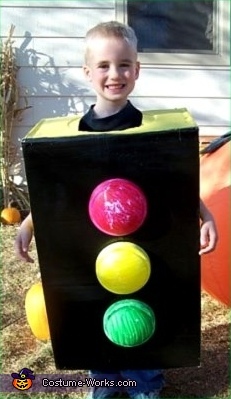 This is Landon wearing his Stop Light costume!! His lights actually light up (they turn on and off when you tap the lights). This costume is definitely a "traffic stopper"!! As states his proud Mom, Sheri, my friend in S. Dakota. is there any way to buy this costume for my 8 year old son?